Exceptional engineering and high-tech specs combine to create the new Victorinox I.N.O.X. Carbon Limited Edition Watch – the only Swiss watch proven to withstand 130 extreme endurance homologation tests. The space-tested carbon case is 50 per cent lighter and five times more resistant than steel, while the orange Naimakka paracord strap – inspired by NASA space suits and the quality engineering of the Golden Gate Bridge – has a breaking strength of 250kg. 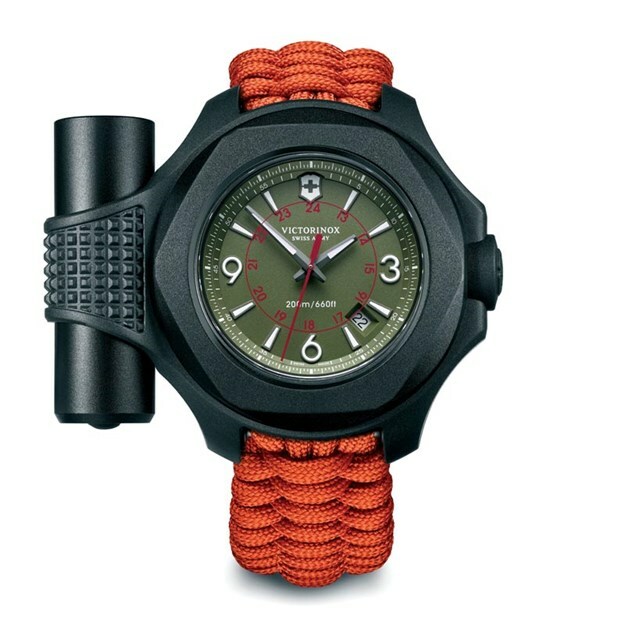 Add in a protective bumper with a USB rechargeable and built-in flashlight, and it's clear this watch is equipped for the most daring of expeditions.